I promised this a few days ago and didn't get a chance to post it. Here's the top 5 of the Top 10 Worst celebrity endorsements. You can find #6 through #10 here. 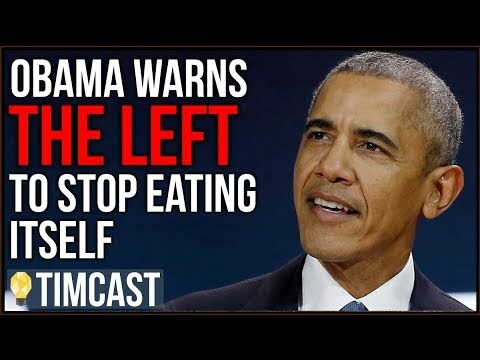 As a bit of a spoiler, there are no endorsements of Obama in the Top 10 despite the fact that he's damaging America, perhaps in a permanent way; and despite the fact that a lot of celebrities have endorsed him and that their endorsements made a big impact. In that regard, perhaps Oprah Winfrey's endorsement of Obama would rate a Top 5 mention. Unfortunately the full scope of president Obama's damaging policies has yet to be felt and he certainly doesn't rate the pure evil intentions of the sinister bunch below. He's naive, Utopian, and progressive, but he's not committing genocide or thuggishly beating down his own countrymen. He just allows it to go on selectively in other countries. In other words, he's voting "Present" on doing something about brutal dictators around the world. Another spoiler, there are no celebrity endorsements of losing candidates as that's more of a Most Ineffective Endorsement category, perhaps deserving of it's own post eventually. No losing candidate however, can be regarded as a dictator simply because they lost. 5 Dennis Rodman parties with Kim Jong-un. Kim Jong-un is a not only the third communist dictator in a family string of crazy despots, he's also a basketball fan. By day he starves his people and threatens to start a nuclear war, by night he parties with his idols. He'd probably invite Michael Jackson if he could. But he also fancies basketball and apparently is a now a friend of Dennis Rodman. Not only did Rodman party with the madman, he's going back to do it again. The former U.S. basketball star said at a charity event in Miami Beach over the weekend that he's keeping plans to visit North Korea again in late summer to have "fun" with the country's dictator, the website "Gossip Extra" reported. "I’m going back August 1," he told the website. "We have no plans really, as far as what we’re going to do over there, but we’ll just hang and have some fun!" Rodman raised eyebrows when he became the first American to meet the reclusive young leader in a visit to Pyongyang in February. 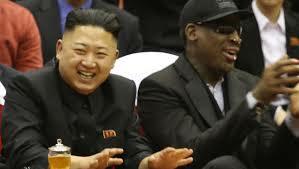 Weeks after the controversial visit, Rodman, 51, described Kim as a friend. "I don't condone what he does, but he's my friend," Rodman said in a March interview with North Dakota's KXJB. Rodman continued to say he will be "vacationing" with Kim in August. I'm sure everyone is glad that Rodman doesn't condone what Jong-un has done. That's a relief. Back when Paul Simon created the album Graceland with South African musicians (1986) he was pilloried. Dennis Rodman hasn't been embraced by either the left or the right over this because as it turns out, nobody is crazy enough to embrace Kim Jong-un. Except Rodman. It's a terrible endorsement - and yes it is an endorsement, his actions speak louder than his words - but it doesn't rank higher because despite the evilness and danger of Kim Jong-un, nobody is going to have a more favorable opinion of Jong-un as a result. 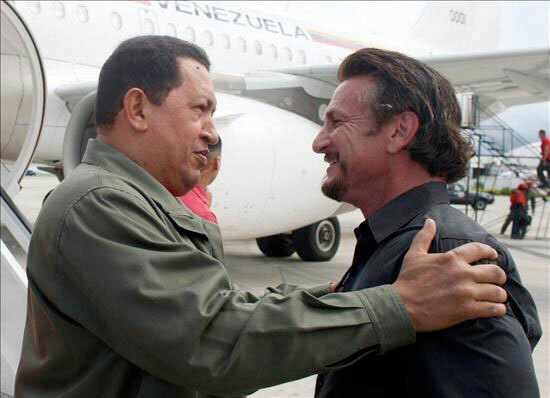 4 Sean Penn mourns Hugo Chavez. Sean Penn makes his second appearance in the Top 10, the only celebrity to do so, marking him as an uber-leftist. He visited the Castros and wrote about it. Buth with Hugo Chavez, he embraced him, lionized him and went so far as to mourn his death by attending his funeral. That's hero worship, not journalism (the guise Penn uses as his cover for his embrace of Chavez). The mourners lamenting the death of late Venezuelan leader Hugo Chavez included the presidents of Iran and Cuba, a Spanish prince and a man that Chavez himself once floated as a possible American ambassador to Venezuela: Hollywood actor Sean Penn. "Today the people of the United States lost a friend it never knew it had. And poor people around the world lost a champion," Penn wrote in a statement sent to the Hollywood Reporter on Tuesday. That's an endorsement. Sean Penn has a lot of celebrity clout, but he's clearly a socialist. It matters because he can still influence the vast swaths of low information voters in America and that makes a difference. Making Chavez likable is not a good thing - he was a thug, he cheated his way into office forever (or at least until he died) and he was an enemy of the United States, cozying up to the likes of Iran and Russia, not exactly friends. Penn couldn't be more wrong, or more blind. Robson, left confused civil rights with communism. At the height of his popularity in the 1930s, Robeson became a major box office attraction in British films such as Song of Freedom and The Proud Valley about Wales. Briefly returning to the US he reprised his title role in Dudley Murphy's film version of Eugene O'Neill's The Emperor Jones in 1933. The 1936 Universal Pictures film Show Boat was a box office hit for Robeson, and the most frequently shown and highly acclaimed of all his films. His performance of "Ol' Man River" for this film was particularly notable. He was also King Umbopa in the 1937 version of King Solomon's Mines. Later he would become the grandfather of all celebrity dictator endorsements being the first high profile celebrity to do such a thing, and he did it on a grand scale, embracing Stalin and communism in a big way. 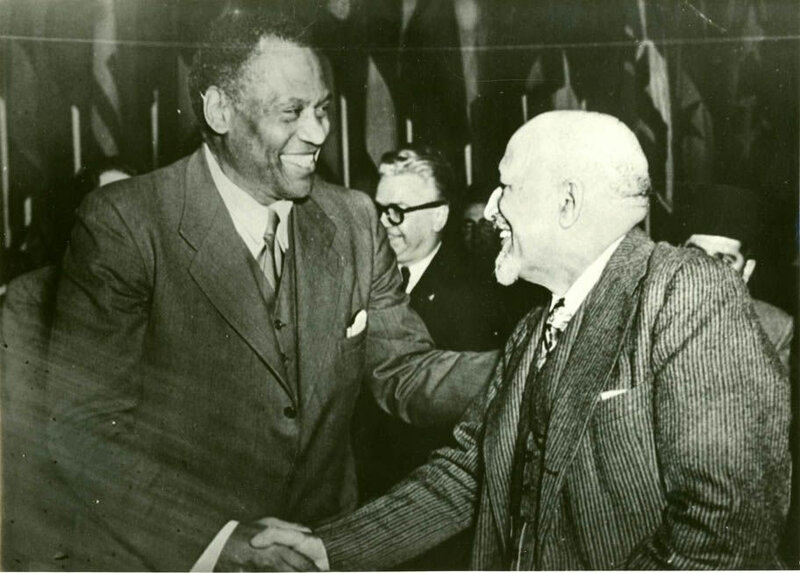 “Commenting on the recent execution after court-martial of a number of counter-revolutionary terrorists, Robeson declared roundly: "From what I have already seen of the workings of the Soviet Government, I can only say that anybody who lifts his hand against it ought to be shot! "It is the government's duty to put down any opposition to this really free society with a firm hand," he continued, "and I hope they will always do it ... It is obvious that there is no terror here..."
Robeson often exhorted African Americans to consider communism. His impact overall was small, but it was high profile and the impact has the added weight of additional generations to its sphere of influence. Stalin was not likable in any way. But communism was something he could sew the seeds of belief in his community and he did so vigorously. He made it celebrity chic to bash democracy and capitalism in favor of a Utopian alternative. 2 Jane Fonda goes to Vietnam and becomes Hanoi Jane. During the Vietnam War, Jane Fonda, already a star, visited the North Vietnamese and betrayed her country, indelibly staining her stardom with the military community while cementing her image as a counter-culture hero for the liberal crowd. Fonda visited Hanoi in July 1972. Among other statements, she said the United States had been intentionally targeting the dike system along the Red River. The columnist Joseph Kraft, who was also touring North Vietnam, said he believed the damage to the dikes was incidental and was being used as propaganda by Hanoi, and that, if the U.S. Air Force were "truly going after the dikes, it would do so in a methodical, not a harum-scarum way". During her trip, Fonda made ten radio broadcasts in which she denounced American political and military leaders as "war criminals". Fonda has defended her decision to travel to North Vietnam and her radio broadcasts. Also during the course of her visit, Fonda visited American prisoners of war (POWs), and brought back messages from them to their families. When cases of torture began to emerge among POWs returning to the United States, Fonda called the returning POWs "hypocrites and liars". She added, "These were not men who had been tortured. These were not men who had been starved. These were not men who had been brainwashed." Later, on the subject of torture used during the Vietnam War, Fonda told The New York Times in 1973, "I'm quite sure that there were incidents of torture ... but the pilots who were saying it was the policy of the Vietnamese and that it was systematic, I believe that's a lie." Fonda said the POWs were "military careerists and professional killers" who are "trying to make themselves look self-righteous, but they are war criminals according to the law"
She may have been duped, or she may have been a sympathizer, but her impact was more profound than she lets on. Her decision reverberates to this day. Fonda has apologized numerous times and tried to explain her actions. She clearly has not repaired her image because she really did some damage with her unjustifiable actions. There;s no denying his infatuation with the Nazi leader. 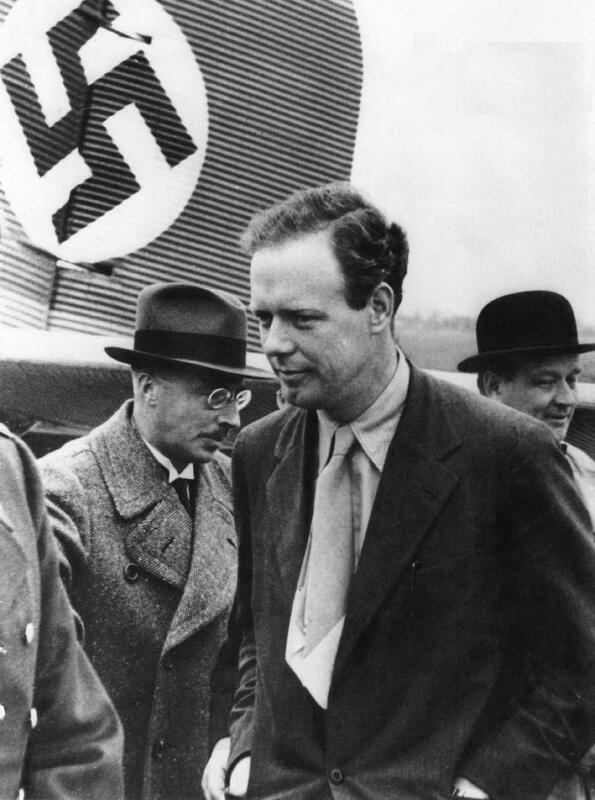 Lindbergh, a decade plus later, was not shy though about sharing his admiration of Adolf Hitler, and his achievements. He went so far as to almost move to Nazi Germany. That;s admiration. It's also completely wrong-headed. It may have been less obvious to some at the time than it is today, but many people knew even then about the dangers that Hitler represented. Today far too many people associate Nazism with right wing fascism but the Nazi Party in Germany were socialists. There you have it. The worst celebrity endorsements of all time. The lesson it seems is that celebrities should keep their political beliefs to themselves but we all know that's not going to happen. In the coming decade there are bound to be new entrants into the Top 10. Look forward to that.